What is a game if, full of care, we have no time to stand and stare? Chris Priestman gave a beautifully-written account of one of my favourite topics: inactivity. "There’s a satisfaction to be derived in comparing our own motionlessness to the busyness of the world around us—to be the silence among the noise. This dichotomy can help us meditate on the glory of that singular moment." For those who enjoy awe and wonder at the majesty of concrete, Hamish Grace offered a detailed, games-oriented overview of Brutalism, an architectural style that has been increasingly significant in games of late. It's often said that games allow us to walk in somebody else's shoes, but what if the shoes don't quite fit? It's enlightening to hear from somebody who has directly experienced the situation a title purports to simulate. Reflecting on his past work as a journalist in a communist regime, Zach Hines argued that newspaper simulator the Westport Independent portrays a naive view of self-censorship. 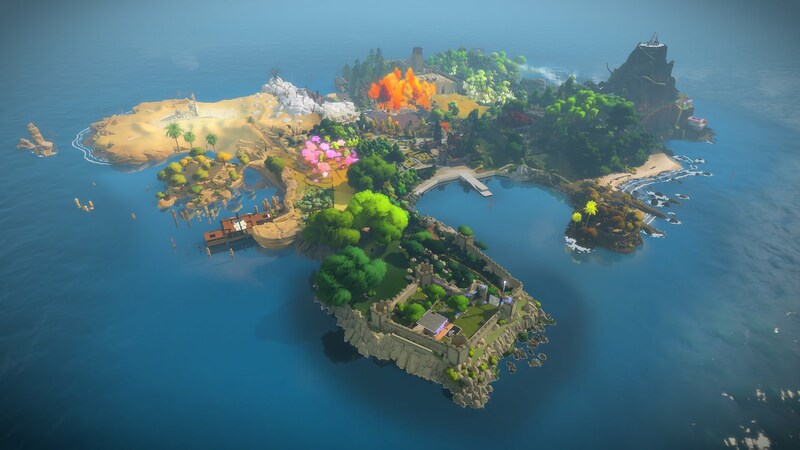 Finally, Darius Kazemi's interactive review of The Witness is affectionate and illuminating; a lovely thing to observe and ponder. If you're not quite done quietly contemplating videogames, you'll find lots more material in the full roundup post on our website. For regular updates, follow Critical Distance on Twitter and consider pledging your support on Patreon.